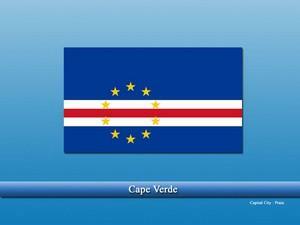 Cape Verde, also known as Capo Verde, and officially the “Republic of Cabo Verde” is an island nation lying in the Central Atlantic Ocean. The country consists of 10 islands and is known for beautiful beaches, water sports, sunbathing, leisure time and much more. The islands of Cape Verde were not well known and inhabited until they were discovered by Italian and Portuguese explorers. The Portuguese established the first colony and the settlements increased by time. Soon the islands became wealthy and prosperous due to its part in the slave trade from West Africa. Also, the islands were constantly visited by merchants, traders, and pirates. The islands remained under the Portuguese control till 1975 when it was finally granted independence. Due to lack of land and natural resources, the economy of the country often faces difficulties. Most of the food products are imported with a sizeable amount of foreign aid. Services like tourism, transportation are some of the good performing sectors and the condition of the economy is better than it was before. Portuguese is the official language of the country, while Christianity is the largest faith. North east staircase vastu remedy? Vastu remedy for south west extension?